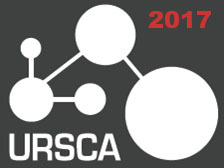 URSCA 2017 was held April 7-8 at Mount Royal University in Calgary, Alberta. Dissemination of Antibiotic Resistance Genes into natural environments and Wastewater Treatment Plants - Is there a link? MRU active office study: Is there a relationship between cognitive function and neurovascular coupling? Does hysteresis in cardiorespiratory variables during high altitude ascent and descent quantify the magnitude of acclimatization?